September has a reputation for being a slow month of fishing off Miami but I strongly disagree. 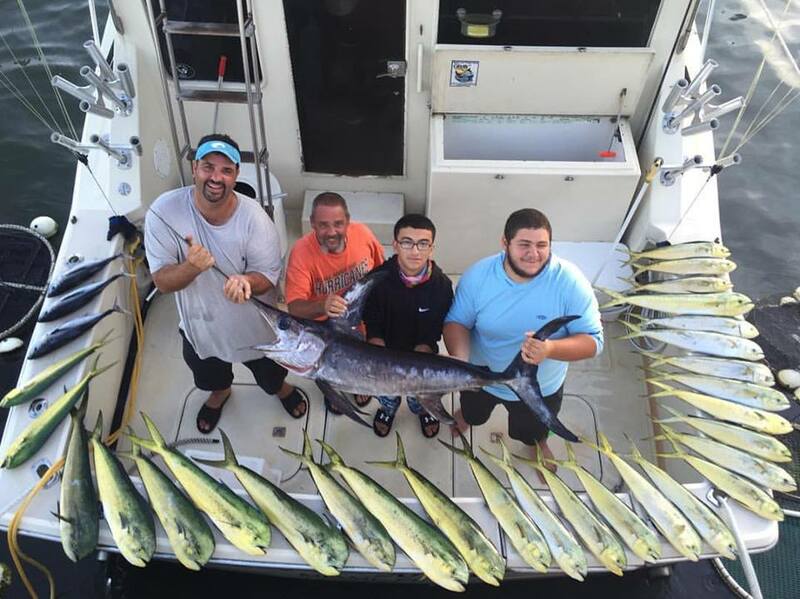 It can be a great month for mahi mahi offshore. In addition the swordfishing begins to pick up, blackfin tuna begin cruising in 300-1000 feet of water, and kingfish swarm the reefs. 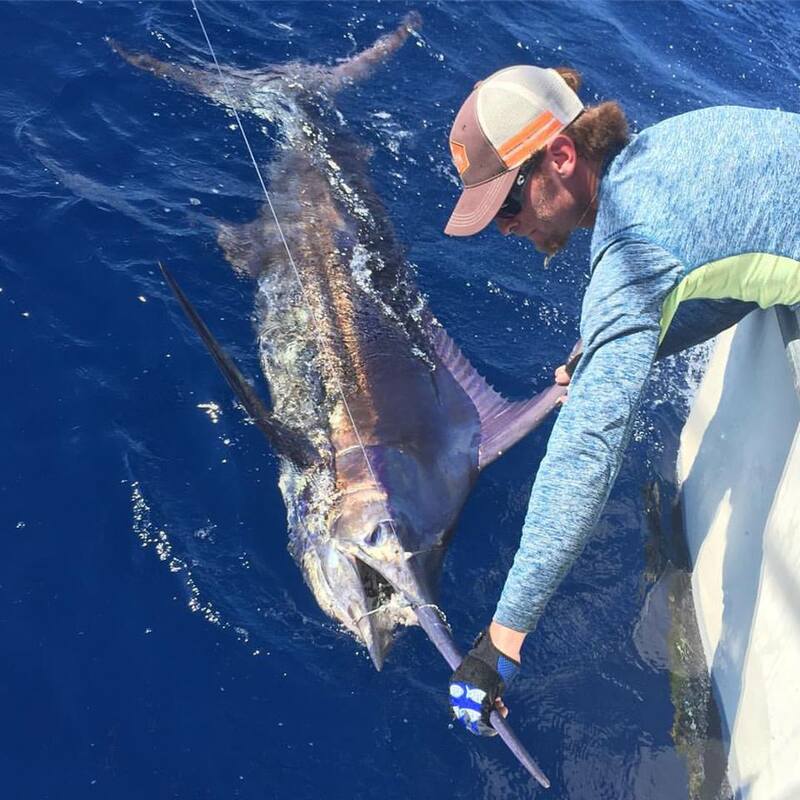 The sailfish bite really starts to pick up around September and we also have shots at wahoo, amberjack, snapper, and more. 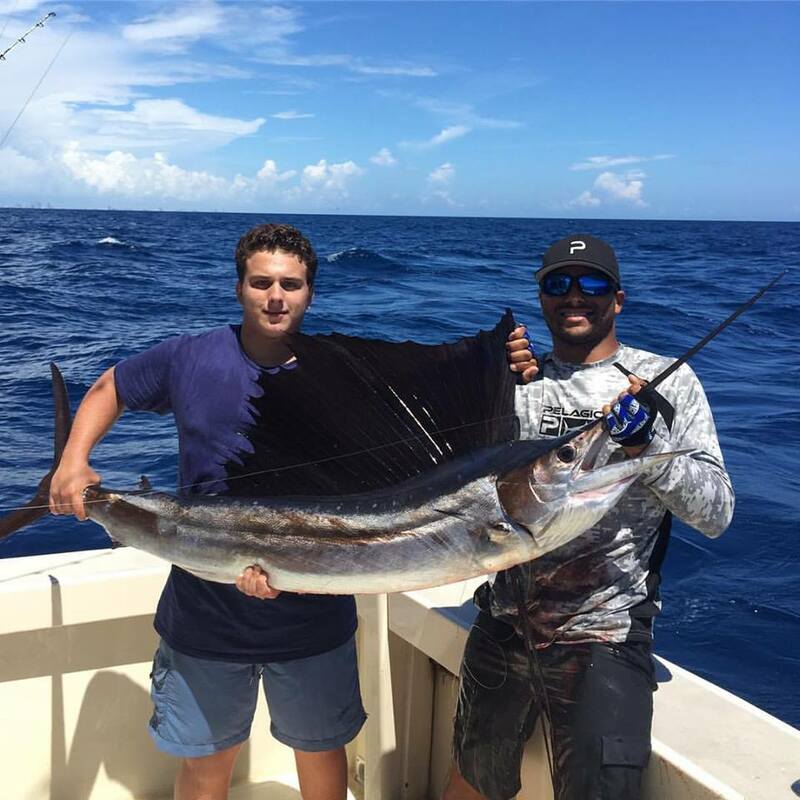 We saw great fishing this past August and September. The mahi fishing wasn't the best we've seen but we did have plenty of good days. 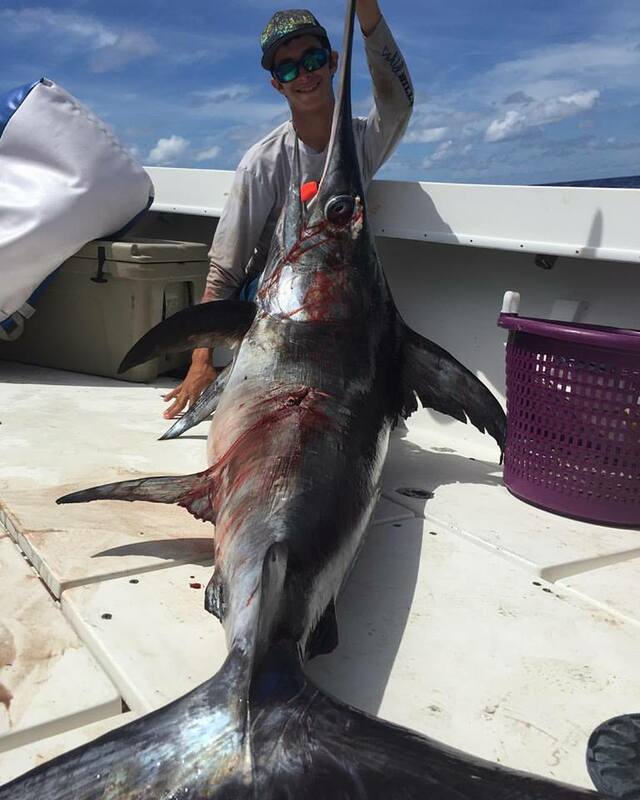 We also caught countless blackfin tuna, kingfish, vermillion and yelloweye snapper, some wahoo, swordfish, and more. This last week in particular was one of the best weeks of fishing I've experienced off Miami and it happened in September of all months. 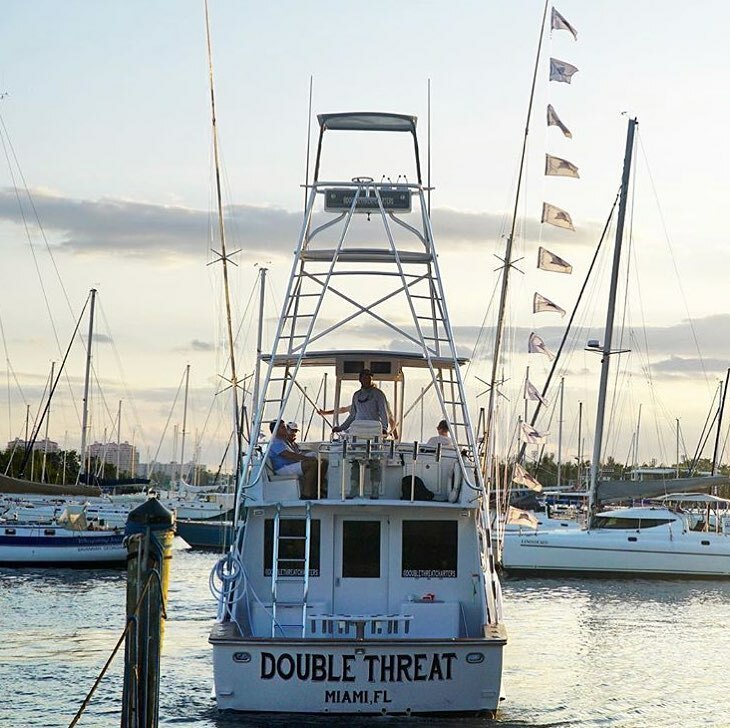 Over the course of 4 trips, we caught 5 swordfish to 150 pounds, an estimated 300 pound blue marlin, a sailfish, over 40 dolphin fish to 20 pounds, some blackfin tuna, vermillion snapper, and more. Check out some of the pics below. As fall really gets into full swing, the fishing should continue to improve. 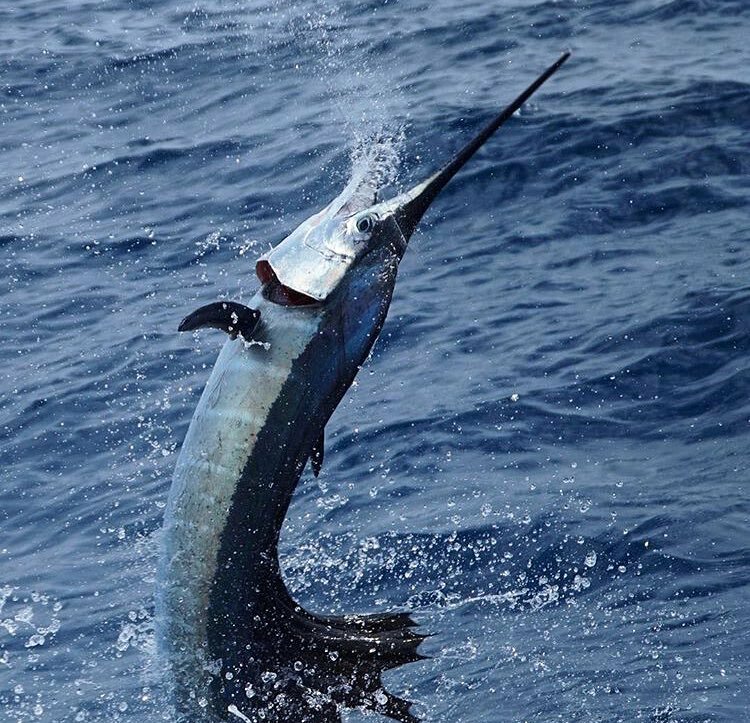 This is the best time of year for swordfish but it is also the time that we really start to see the sailfish bite pickup along the edge. In addition, the bigger kingfish will be here soon along with a decent run of mahi along the edge. We typically do more live baiting as fall sets in as we kite fish more and more frequently. The next few months are a great time to get out there. We definitely have some openings so give us a call! You can't catch fish on the couch!